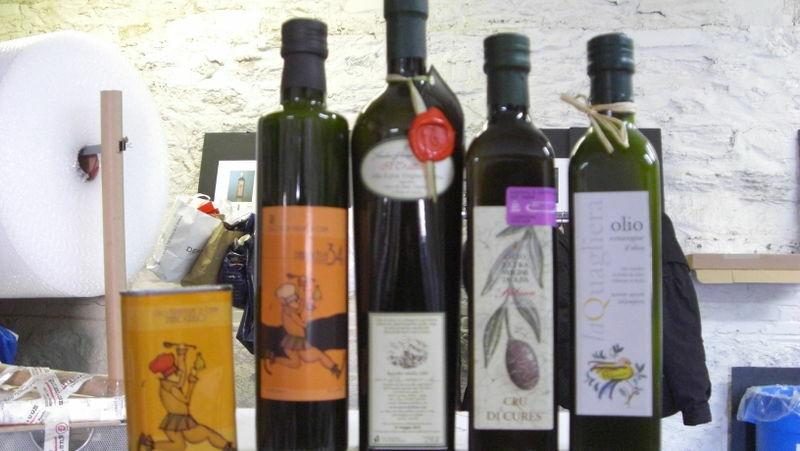 A good Extra Virgin Olive Oil is always good, if kept in a dark and cool pantry. I’ve had EV Olive Oils as much as 5 years old and they were still magnificent, even if they might lose their strongest flavors and some fragrance. We don’t share the “Novello” craze, because it is only a marketing gimmick. Thank goodness, we are not alone in this opinion. Licia Granello, one of the most reputable Italian food authorities is quite loud about it. Click here to learn what he told us about Novello Oil. Nonetheless, there is a certain exitement when the new harvest Olive Oil comes to the warehouse. It is a new beginning, certainly a new and different product than the year before. From olives picked just a few weeks ago, we just received: Tratturello from Gentile di Larino olives, in Molise; Cru di Cures from Frantoio-Leccino-Carboncella olives, in Lazio; Pianogrillo from Tonda Iblea olives, Sicilia, La Quagliera from Dritta-Leccino olives, in Abruzzi. Buy them now and you’ll receive a 20% discount. Just mention “No To Novello – Yes To New” in your shopping cart, and we’ll do the math. This offer is valid until Jan 31 or until we run out of intentory, whichever comes first.